Europa Casino is an international online casino that also offers South African players access to their casino. Created in 2003 Europa Casino is operated by Universe Entertainment Services Malta Limited. They are licensed and regulated by the Malta Gaming Authority. The casino offers a wide variety of quality casino games and an incredible range of progressive jackpots. All transactions are encrypted via sophisticated SSL technology and firewalls. for the next 12 months. Players who sign-up today can take advantage of the casinos R24,000 deposit bonus package offer. 100% First Deposit Bonus up to R2,000 each month for the next 12 months. ed by companies like Playtech. Players will have access to many other casino games such as video poker, progressive slots, Craps, Asian games, Arcade games and online Keno. Fun new games are added on a monthly basis. 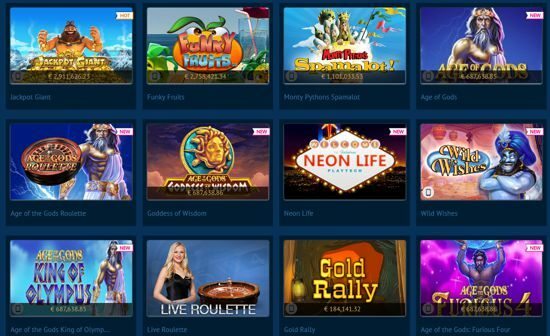 Europa Casino offers players a variety of alternatives to access their casino. The standard and popular download casino can be installed on PC’s. Players can also access the casino via their web browsers by signing in to the Instant version of the casino. Mobile Casino access is also granted to all modern smart devices like iPhones, iPads, Android and Window devices. Europa Casino offers South African players many ways to fund their casino account. These include Visa, MasterCard, EasyEFT, Maestro, Skrill, Neteller, Bank Transfer, EntroPay, EcoCard to mention a few. Should you need to reach the casino for any assistance you can do so via their website. Just click on the Help link and you will be forwarded to a page where you can find the correct department to attend to your inquiry.